Are you ready to make a house a home? Then you must investigate this beautiful custom-built house and property that is absolutely drenched with charm! 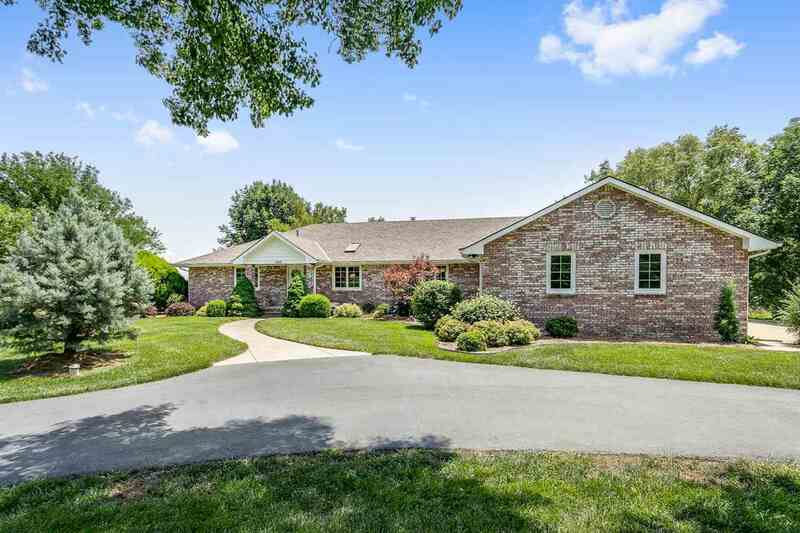 Quietly nestled in one of Derby's most prestigious neighborhoods, this property is a must see for the serious gardening enthusiast and anyone looking for mature trees and ultimate privacy. Features included: Expansive open floor plan on the main level with a multitude of furniture arrangement and entertaining opportunities. The formal parlor (with pocket doors) and foyer greet you with a grand sense of arrival. The spacious kitchen is a chef's delight with plenty of storage in the surrounding oak cabinets, lengthy counter space, and Reverse Osmosis water system. A built-in desk is perfectly situated for the busy multi-tasker. Large master bedroom and bathroom with generously oversized walk-in closet. The second bedroom on the main level is overszied and abundant in storage as well. Just a step outside the bedroom door is an oversized guest bathroom. There is so much space you will never run out! A well-designed entry from the garage and deck opens into a mud room which includes a half bath and yet more storage and oak cabinetry. The lower level includes a family room with a cozy wood burning stove and built-in book case. This room serves as the hub for the rest of the lower level. On one side, it opens to the beautifully sloping back yard and the tree-lined lot boundary line. Two other sides offer access to 3 other bedrooms and another bath. The lower level also features a workshop/office area. This private retreat houses a sea of built-in shelving and a large storage closet with even more built-in shelving! A lower level vestibule offers exterior access directly into the garage via a staircase which is very useful for older children, long term guests, or repairmen. The 3-car garage is every man's dream! The ânever run out of space againâ theme flows naturally throughout this home with the sheer oversized nature of the house, and of course, built-in cabinets galore. If you are looking for a one-of-a-kind, rare opportunity to own a custom built, one owner, sophisticated, expansive home, then they just don't come any better than this one! Interior Amenities: Ceiling Fan(S), Central Vacuum, Closet-Walk-In, Skylight(S), Wtr Purification/Filtrat.